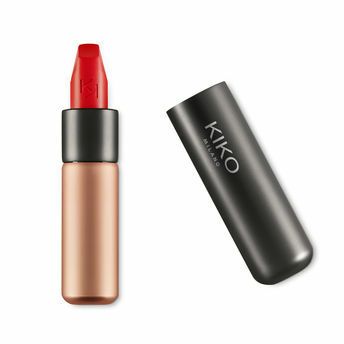 Kiko Milano Smart Fushion Lipstick is a rich and nourishing lipstick that has creamy, enveloping texture which leaves the lips feeling wonderful and incredibly soft for a long time. The lipstick glides on easily and the colour is revealed immediately. Available in 36 striking colours, it provides to medium to full coverage. The lips are full, soft and sensual as well as precisely outlined. Alternatively, you can also find many more products from the Kiko Milano Velvet Passion Matte Lipstick range.